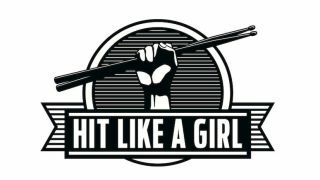 The female drumming extravaganza that is Hit Like A Girl is now entering its final stages. This public vote has now ended and the 22 finalists in the over 18 and 20 in the under 18 categories have been chosen. As well as those selected by the public, wildcards were selected by Hit Like A Girl's sponsor judges, with the UK's Louise Bartle and Asil Polat from Turkey being added to the list of finalists. Head over to www.hitlikeagirlcontest.com to find out more details. The overall winning drummer will win $20,000+ worth of drum gear - a prize pack not to be sniffed at. As media partner for the event Rhythm is proud to support this search for talented stickswomen the world over. For more information take a look at www.hitlikeagirlcontest.com.